A few fun finds to share with everyone on a Friday. I think the cake and cookies are way too pretty to eat (and a tad too pricy!). I would love to put that quote up somewhere in our house someday. I have it on a large magnet on our refrigerator. I think that little girl in the print looks like me, scary enough! I need a jewelry box just like that. And I need a house with a porch to put a door mat like this on. What have you found that have intrigued you today? 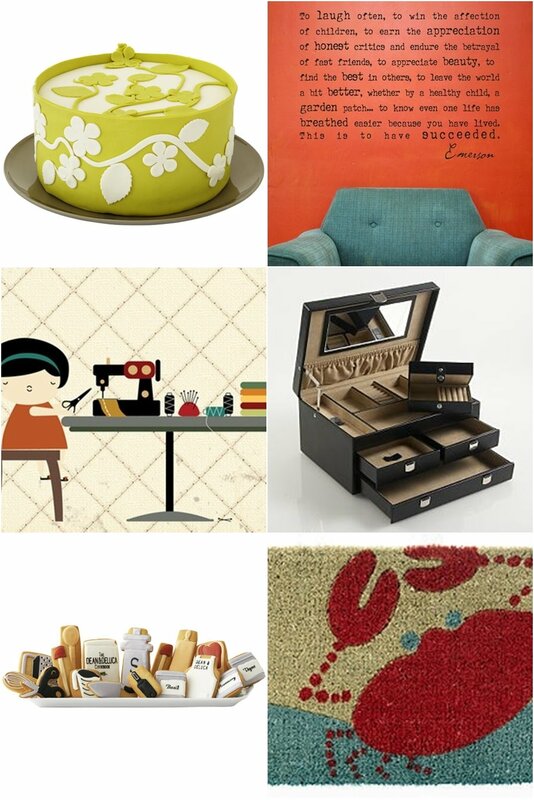 This entry was posted in friday, friday finds by shortcakescraps. Bookmark the permalink.